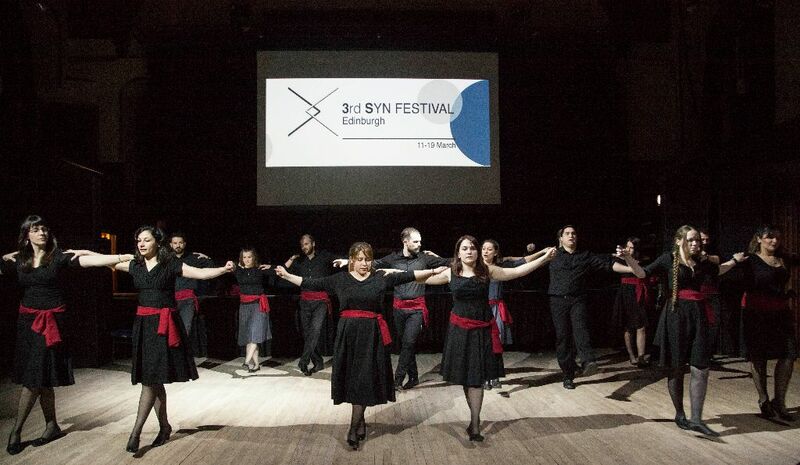 Syn Festival invites you to a night of traditional greek dancing, live music and food! Join us for a night devoted to the celebration of Greek culture! The audience will have the opportunity to try Greek dance, Greek food and enjoy live Greek Rebetiko music. This year the performance will begin with the younger members of Greek Dance community of Edinburgh! It’s now your turn! Join the instructors as they teach you a simple Greek folk dance so you can take part in the fun!! Edinburgh based Niavent are no strangers to Syn Festival. They will be performing Greek rebetiko and laiko with a swing. As part of our collaboration with Rebetiko Carnival (website) Plastikes Karekles come all the way from London to bring the best of Greek rebetiko. *Money raised through the tickets will be used directly to cover the costs of this year’s Syn Festival. We will also have a donation box collecting money for volunteer groups supporting refugees in Greece.